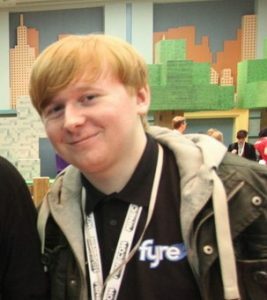 I’m a YouTuber, working directly with Minecraft to create huge, impressive structures and worlds to be displayed via YouTube as timelapse videos, and inputting content into the Egmont Handbooks. I got this job by working really hard to begin with and getting noticed by amazing people throughout the media and gaming industry. I gained enough popularity to make this my full-time job. I adore video editing and there’s a lot of that in being a YouTuber, so that’s something I always look forward to. I also just love all the extra non-YouTube projects I work on, such as writing the Minecraft Construction Handbook and the United Nations “Block by Block” Minecraft charity project I work on. 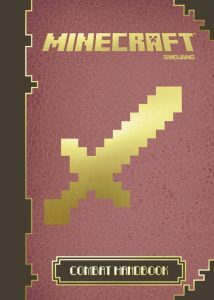 I’ve had an awesome time working on the Construction Handbook – I’m passionate about sharing Minecraft techniques and builds, whether through our YouTube videos or the Egmont books. 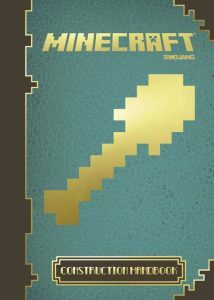 I’ve worked on step-by-step guides for the Construction Handbook, detailing how to create some of the most amazing things in Minecraft. From multi-storey houses to bridges and much, much more, readers can learn techniques used by some of the best builders in Minecraft. One thing that’s difficult about being a YouTuber is the fact that all your videos are so closely scrutinised by thousands of people. You also have to produce content quickly enough for the people to see, so sometimes it isn’t perfect to you but other people love it. To record videos you need to know how to film, commentate and edit videos professionally and also be confident in your vocal abilities when discussing and addressing people in these videos. For the other projects I work on outside of YouTube, writing quickly and clearly comes in handy when writing the Minecraft Handbooks and understanding how to translate real-world scale into Minecraft works perfectly for “Block by Block”. Where should young people start if they want to do the job too? They should begin finding something they enjoy and just make videos about them. If you’re passionate and the videos are of a high quality, people will begin watching them. YouTube isn’t an overnight popularity gain, though; you have to work for it and be patient, but when you begin gaining that popularity it makes all the work you put in worth it. What is it like to be a Sound Engineer? What does a Head of Theatre Marketing do? What is it like to be an Actor? What's it like to work as a Scriptwriter?